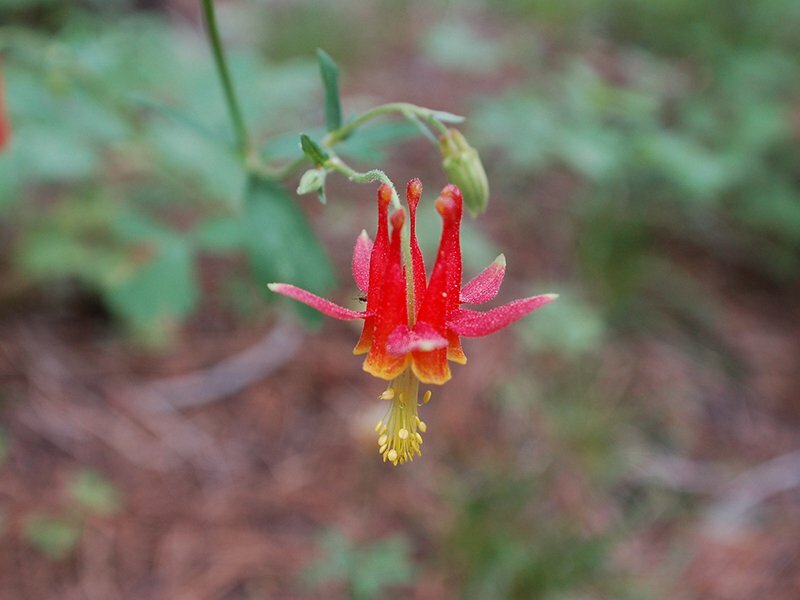 The serpentine columbine has found an elaborate way to protect itself from predators. The sticky herb is a favorite snack of Heliothis phloxiphaga moth larvae, which munch its buds, flowers, and fruits. But instead of trying to attack the creepy-crawlies directly, the columbine sends out a chemical signal that attracts dragonflies, beetles, and other insects. 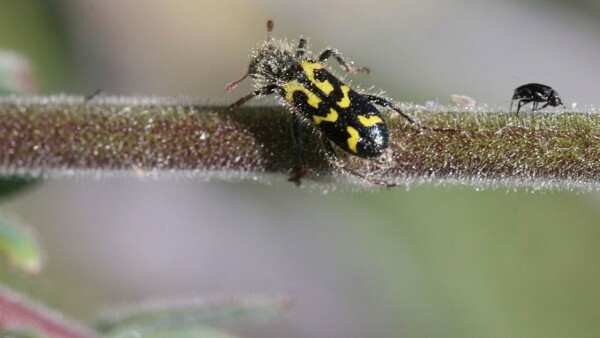 When these bugs land on the plant, they get stuck on its sticky, hairy surface (as with the beetle pictured above) and die, coating the columbine with dead bodies. These bodies in turn attract meat eaters like spiders, which also consume the moth larvae while they’re noshing. (The spiders have evolved not to get stuck on the plant.) Such an indirect defense against predators has not been seen in any other plant species, researchers report this month in Ecology. But the authors suspect that, with a bit more looking, biologists will find similar strategies in other plants.